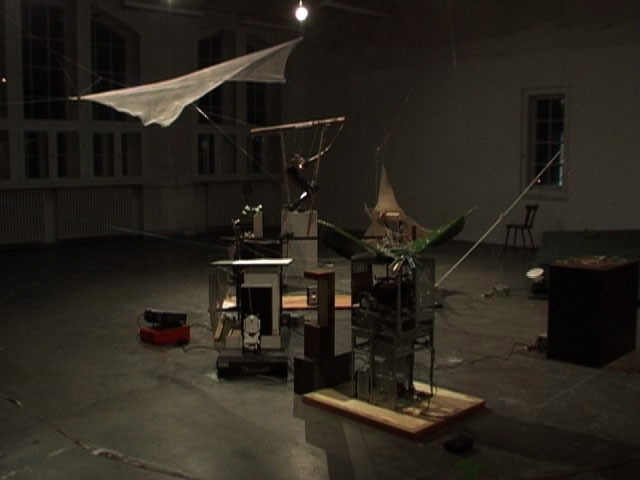 In this workshop participants will collaborate on the creation of a large electromechanical sculpture made from discarded office equipment, old electronic devices, and other abandoned, but still useful, technological debris. Each participant will create a section of the sculpture, and all sections ultimately will be interconnected to form a large, circular, mandala-like object. 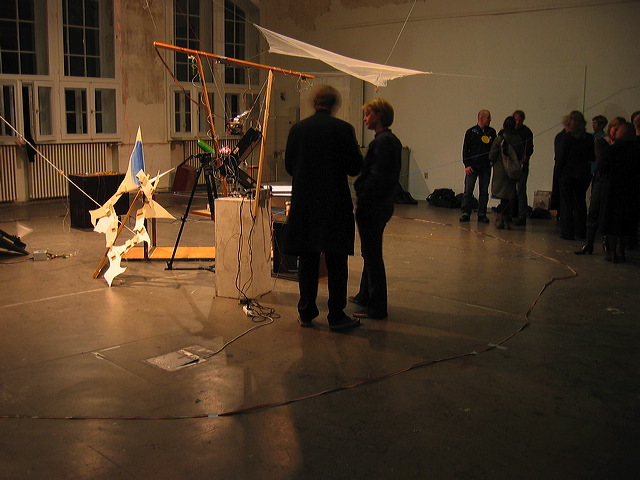 Participants can focus on any subject that interests them when creating their section of the work; musical devices, kinetic sculpture, and drawing machines are just a few examples of possible projects. Participants will help find and gather old equipment from around Berlin. We will then spend several days investigating what we have found, taking things apart, and learning about the reuse of parts from discarded equipment. We will also cover the design and implementation of simple electrical and mechanical systems. The remaining days of the course will be spent constructing our sculpture. Participants will be encouraged to work together and to take into consideration the sculpture as a whole as they construct their individual sections. We will find ways to connect each section of the sculpture to the adjoining sections, passing electrical and mechanical energy between the parts. Ultimately we will end up with one large, interconnected work with many separate, but related, sections. At the end of the workshop we will dismantle the sculpture and recycle the parts. This course is open to all artists, sculptors, musicians, designers, performers, etc., who are interested in integrating electronic and mechanical elements into their work. No previous experience is necessary, although please be aware that this will be a very hand-on course and you will need to develop some skill with basic tools like soldering irons, drills, saws, etc. The workshop participants were talented, enthusiastic, and generous, and together we found a way to make something special with very few resources other than garbage and hard work. We spent 8 hours a day for 7 days working on the piece. On the last day we invited the public to come see the result: a twirling, whiring, puffing, buzzing collaborative kinetic sculpture!